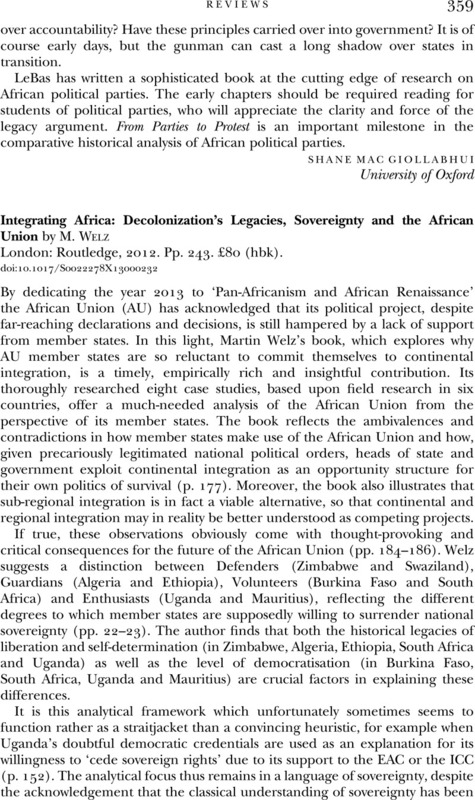 Integrating Africa: Decolonization's Legacies, Sovereignty and the African Union by M. Welz London: Routledge, 2012. Pp. 243. £80 (hbk).